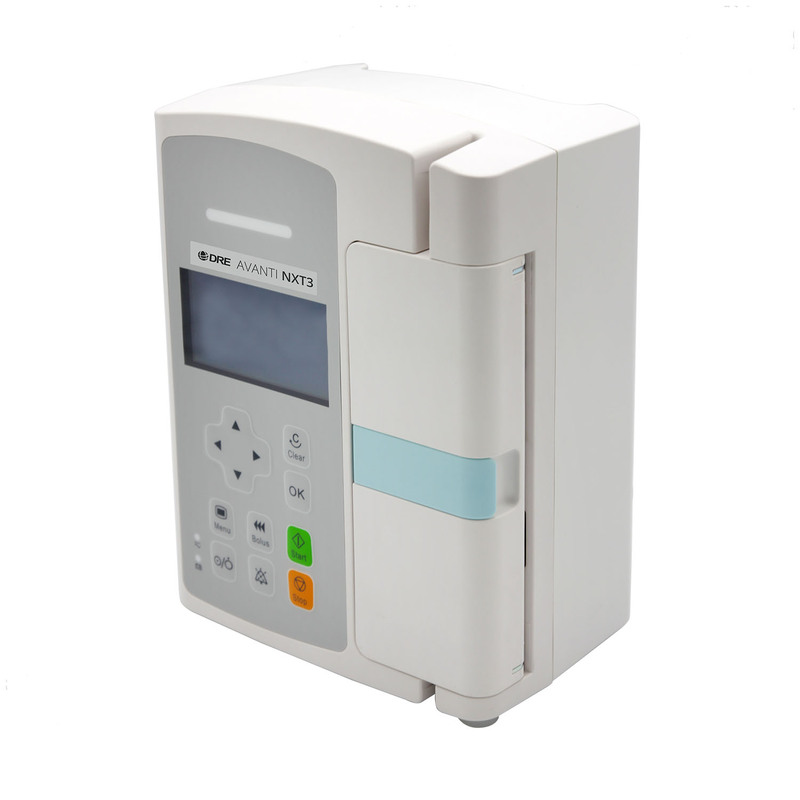 The Avanti NXT3 is an infusion pump that provides comprehensive infusion care for any medical facility. With an easy user interface you can set all functions with just six buttons. The Avanti NXT3 includes an extensive drug library as well as automatic and manual bolus. 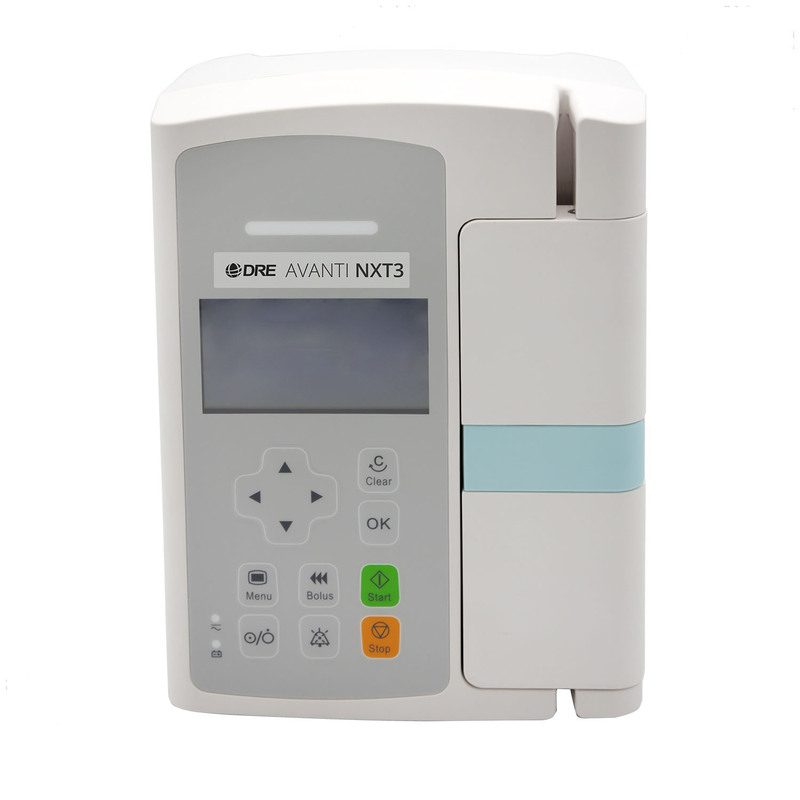 The DRE Avanti NXT3 infusion pump is available through Avante Health Solutions. Contact an Avante representative today for more information. Unique design allows for a more streamlined appearance and workflow. Pump design is compatible with straight line tubing sets from any manufacturer. Anti-bolus technology for increased safety after sudden occlusion release. Onboard alarms indicate: infusion completion, low battery, air bubbles, downstream occlusion, no AC power, and more. Save and calibrate as many as three separate line sets. Downstream occlusion, air in line, door open, VTBI completed, KVO finish, battery low, battery empty, no AC power, reminder, system error, VTBI near done, standby time expired, system error, tubing not inserted.